come see me at longchamp next week! 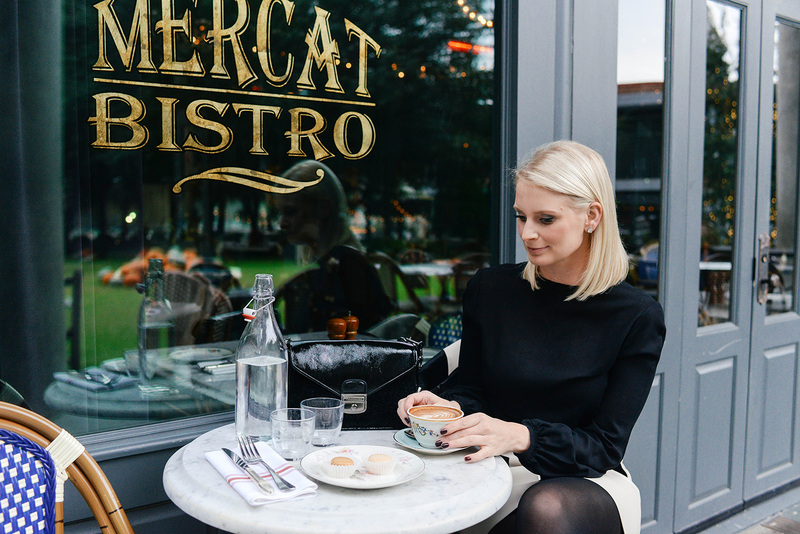 I’m not gonna lie, I had so much fun shooting this outfit at Mercat Bistro! 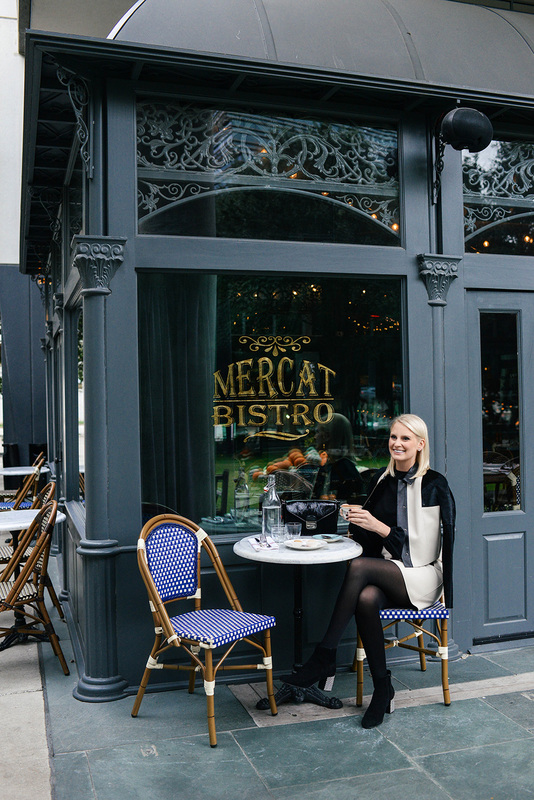 Doesn’t it just make you dream of being in Paris? 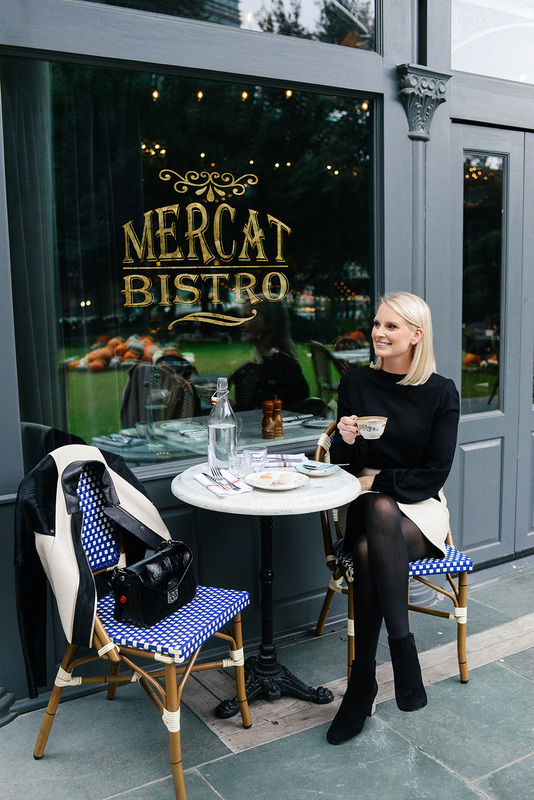 From the chic leather + calf hair jacket and matching skirt to the bistro chairs and macarons, this whole setup has me craving a trip across the pond. 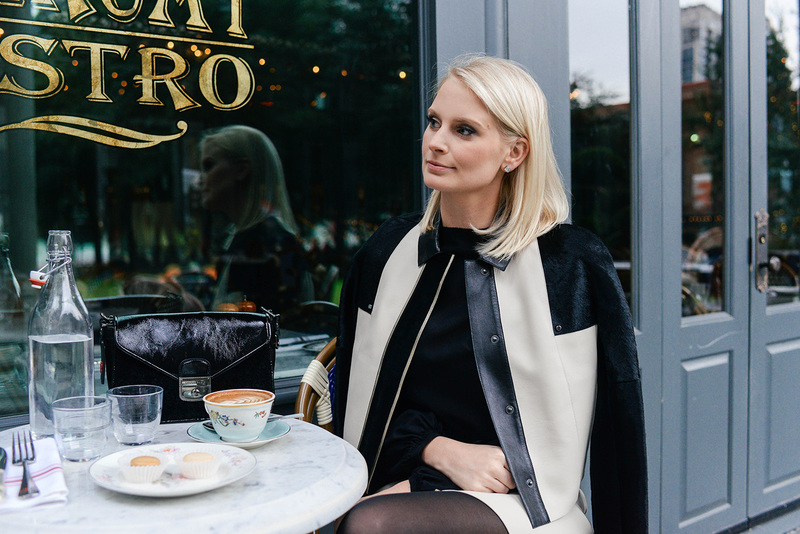 While I don’t have a Parisian adventure in my super near future, I can get a taste of it with the new Mademoiselle Longchamp Collection. While this blog post is for everyone, I hope my Dallas friends and followers pay extra close attention to this one! Next Wednesday (November 15th), I’ll be co-hosting an event at the Longchamp NorthPark Center Boutique with my friend Krystal! Stop by the store between 6-8pm to discover the new Mademoiselle Longchamp Collection, the brand’s new effortlessly chic and iconic collection of handbags, ready-to-wear and accessories. 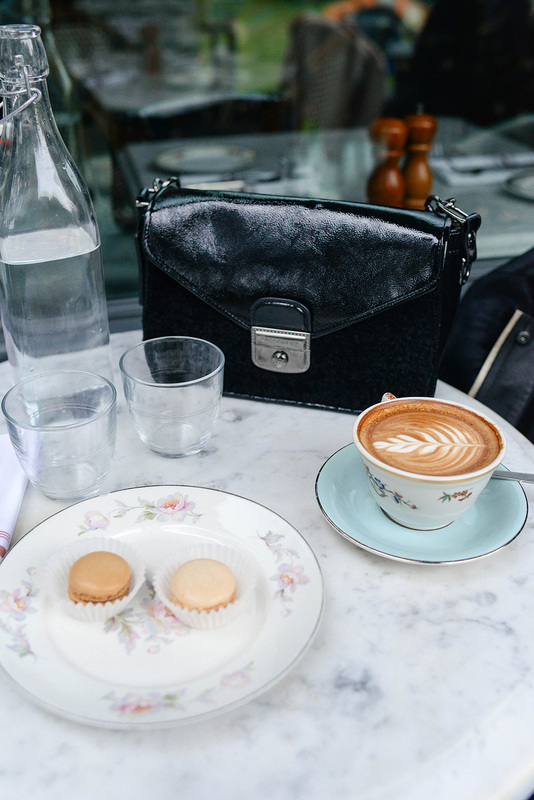 The theme of the evening is #Parisianing, so you can expect lots of fabulous French details, sips and sweets, and you’ll even have a chance to enter to win a free handbag! Plus, you’ll get tons of quality time with your’s truly, too. See the invite below for all of the important details, and click here to RSVP! Hope to see you all there! Booties – where are they from? Where are those booties from?